I’m kind of a night owl. Owls Head, NY – Even though it will be the Year of the Sheep for the Chinese New Year, for the rest of the world it is the: Year of the Owl! Owls seem to be the new hip thing that everyone is into, and for some very good reasons. Here are some interesting facts about our owl friends that you may or may not have known. Owls are super smart, which is why a group of owls is called a parliament. The oldest owl is referred to as the Speaker of the House. Whenever you hear owls saying “Hoo Hoo”, this means they are taking a voice vote on an important owl issue in their area. 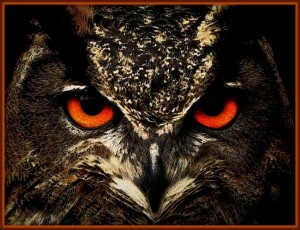 Owl eyes do not move in their heads because they are like an expensive pair of night-vision binoculars. This is why most people close they window shades at night before getting ready for bed. Owl ears are not symmetric on their heads just like Stephen Colbert’s ears. This is so they can better determine where sounds are coming from, in order to find where the parties are. In flight, owls can fly completely silently due to their stealth technology, which they eventually shared with the U.S. military aircraft industry, who then went on to share it with all of our enemies. Owls are nocturnal, which means that when it’s hunting time, they make a “knocking” sound when it’s their “turn” to go get a snack. This is their special way of communicating with other hungry owls in order to prevent embarrassing mid-air collisions. Just like the girl in the Exorcist, all owls can turn their heads 720 degrees which (may sound hot, but it) translates into two full head spins. They do this to attract a mate during dating season (or a date during mating season). Finally, just like Hedwig from Harry Potter fame, every owl has a name. 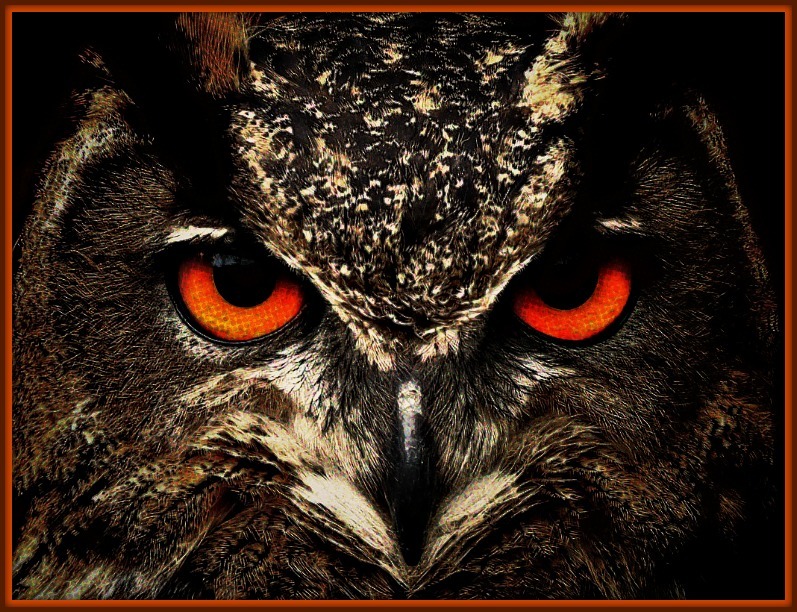 If you call out to an owl with its correct name, chances are you will soon have a visitor landing on your deck, who would love to listen to you talon a story.